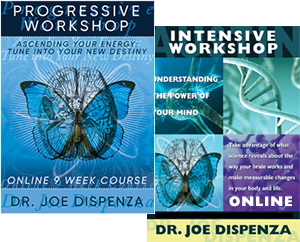 ENGLISH-ONLINE PROGRESSIVE & INTENSIVE WORKSHOPS (PAY PER VIEW) – Drjoedispenza.com - Encephalon, Inc. Please Note: If you intend to participate in a Week Long Advanced Retreat with Dr. Joe, both the Online Intensive and Progressive Videos are INCLUDED in the workshop price. 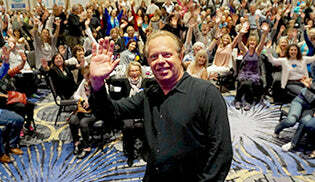 You can now watch both of Dr. Joe's Workshops from the comfort of your own home! This Online Progressive package comes with a complimentary view of the Online Intensive Workshop. You will need to watch the Intensive Workshop first. Please do not go out of order for the information presented builds upon itself throughout the courses. For those who have already been to a live Intensive or Level 1 Workshop, it is recommend that you review at least the Intensive Parts 1-4. 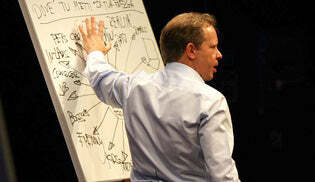 This Online Progressive Workshop has been made into 9 segments for you to view over 9 weeks or at your own faster pace. This way you can take your time and view the workshop at your pace, proceed ahead as you’d like, or go back and re-watch any segment as you please during the time allotted. "The greatest habit we have to break is the habit of being ourselves." During this course, Dr. Joe will deliver new teachings, share case studies and examples, teach you how to recondition your body to a new mind, and show you how to liberate energy stored in your body in the form of self-limiting thoughts, unconscious habits, and memorized emotions. When you free up energy from your past and open yourself up to a new future, you can create who you really want to be and what you want in your life. Hundreds of people around the world have applied these principles and produced amazing results for themselves. This workshop will get you out of your comfort zone and push you beyond your 'limitations' to break chains and set you free from the old programs that have held you hostage. This is a unique opportunity for you to retreat from your routine life with all of the familiar stimuli and create a new reality. You will be asked to suspend all beliefs and to make room for the unknown. Dr. Joe will take you through a series of interactive exercises and intensive meditations that will deepen your practice and process of change. On the other side of your pain is your freedom. On the other side of your fear is a deeper love than you have ever known. 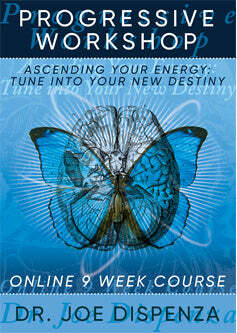 You will leave this workshop having experienced powerful and profound shifts inside and outside of you. Many people in the last three years have reported that they literally left this seminar a different person from when they came. As you continue your practice with the tools and techniques you take away from this weekend, you will experience ongoing and significantly noticeable changes in your world. Please plan your view time so that you can complete your workshop viewing over the next 13 weeks (93 days) from your purchase date. Suggestion: Watch the Intensive over the first 3 Weeks, and then the Progressive over the next 9 Weeks, giving yourself the last one week for extra reviewing time. 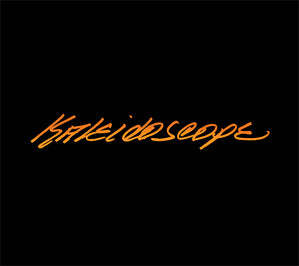 Your Pay Per View service is available for 93 days from your date of purchase. Please be sure to mark your calendars and view the workshop videos, download the workshop notes, and view the course resources before your expiration date. Once your 93 days has expired, we are unable to extend your viewing time. Note: If you attend a Week Long Advanced Retreat, the videos will be availabe to you from the time of your registration and up to 30 days after the workshop has completed. *Online videos are non-refundable after 48 hours has passed since your purchase. 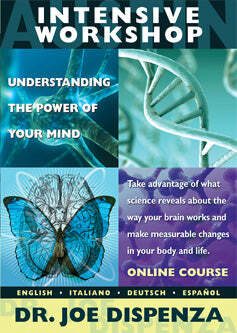 The viewing of this course is a mandatory requirement for attending our Week Long Advanced Retreats. This course will be included for you as a part of your workshop fee. It is very important that you set aside time to view these videos before attending your Week Long Advanced Retreat. 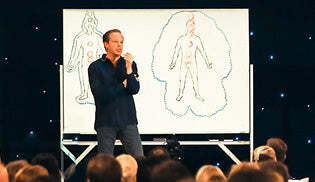 The Online Intensive and Progressive videos lay the groundwork for you to understand fully Dr. Joe's work. 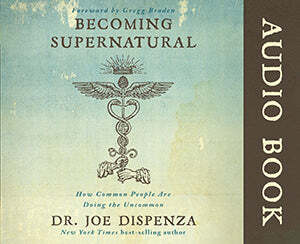 As you progress through these courses you will not only gain the necessary knowledge, but will also have the opporutnity to practice that knowledge before meeting with Dr. Joe in person. The more knowledge you have and the deeper your understanding, the more that Dr. Joe will be able to progress his teachings at your workshop. "We're in completely new territory... rewiring the brain, reconnecting to an new concept & ultimately it changes us from the inside out." 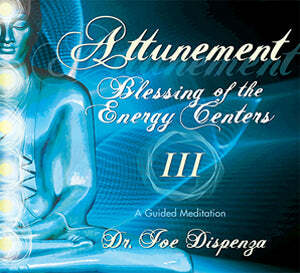 This course is INCLUDED with your regstration to a Week Long Advanced Retreat.